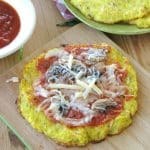 One bite and you’ll be hooked on spaghetti squash pizza crust! 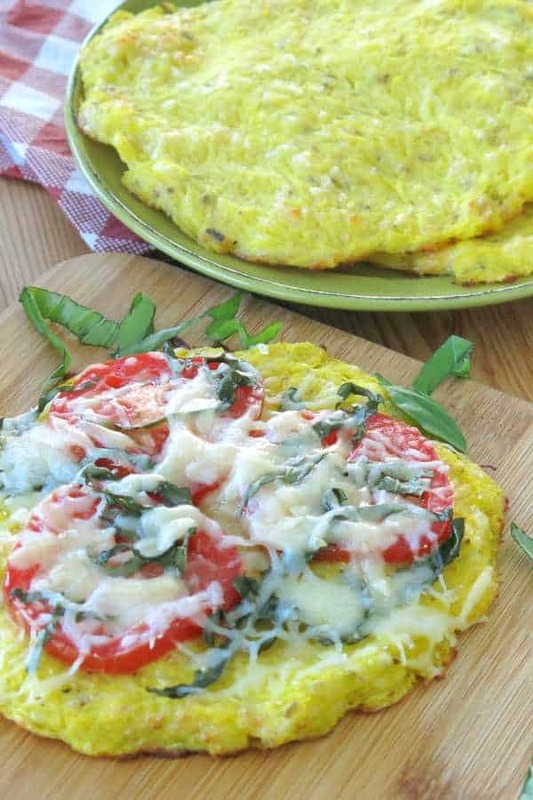 It’s low-carb, gluten-free and a delicious base for your favorite pizza toppings. This recipe is a new favorite because the mellow flavor is perfectly suited for just about any topping combinations you dream up. 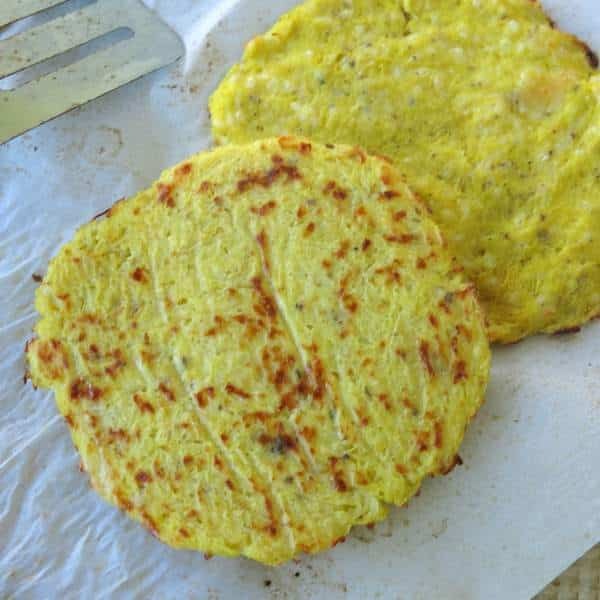 To make a pizza crust from spaghetti squash, mix together cooked strands of spaghetti squash (with liquid removed,) egg, mozzarella cheese, oregano and garlic powder. Shape the dough and bake in a 400 degree F oven for about 15 minutes or until the crust is firm and begins to crisp on the edges. We found that smaller, personal-sized pizzas were easier to work with. However, the same process can be used for a large round or free-form pizza. Press the dough so that it is about 1/4 inch thick. But, there are two important steps (cutting squash and removing liquid) that require further discussion. Soften spaghetti squash in the microwave first and then cut in half. We use this technique for Spaghetti Squash Alfredo! Poke 8-10 holes in the outer surface of the squash with a knife to allow steam to escape. Place squash on a microwave safe plate and microwave for about 2 minutes, turn and microwave for up to 2 minutes more. Remove from microwave, cut squash in half and remove seeds. Alternatively, cook squash in a slow cooker. Poke 8-10 holes in the outer surface of the squash. Cook for 3-4 hours on high or 5-6 hour on low. Squash is done when the outer surface is soft to touch. Carefully remove from slow cooker as it will easily break apart. I use a big spatula, tongs to steady it and have a plate ready for it to land on. There’s no getting around the fact that it takes some time to cook spaghetti squash. But, it’s hands-off cook time AND you can prepare squash 1-2 days in advance. Removing as much liquid as possible from the strands of spaghetti squash will result in a firm crust. It will start to crisp up at the edges and brown on the bottom. This recipe started with 4 cups of cooked spaghetti squash and ended with about 1 1/2 cups once all of the liquid was removed! Place spaghetti squash strands in a strainer. Place a bowl on top of the spaghetti squash, press down and allow liquid to drain out. Fold the strands into the middle of the strainer and repeat. Remove strands from the strainer to a clean dish cloth and twist to remove any liquid that remains. When I skip this step it’s never quite as good! Once the pizzas have been topped, return them to the oven for about 5 more minutes or until heated up and cheese is melty. 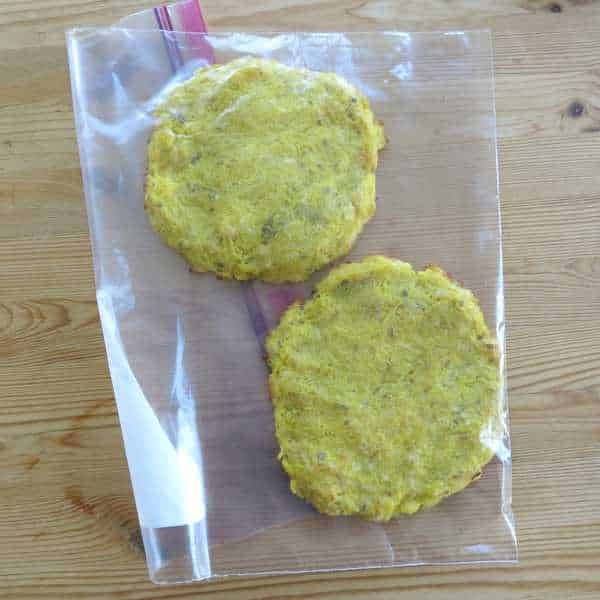 Can you freeze spaghetti squash pizza crust? Prepared and cooked crusts CAN be frozen successfully. Place crusts in a ziplock bag, remove air and store in the freezer for up to 2 months. When ready to enjoy, remove them to the refrigerator and defrost overnight. The next day cook in the oven with pizza toppings. We don’t recommend microwaving because the crust may become soggy. 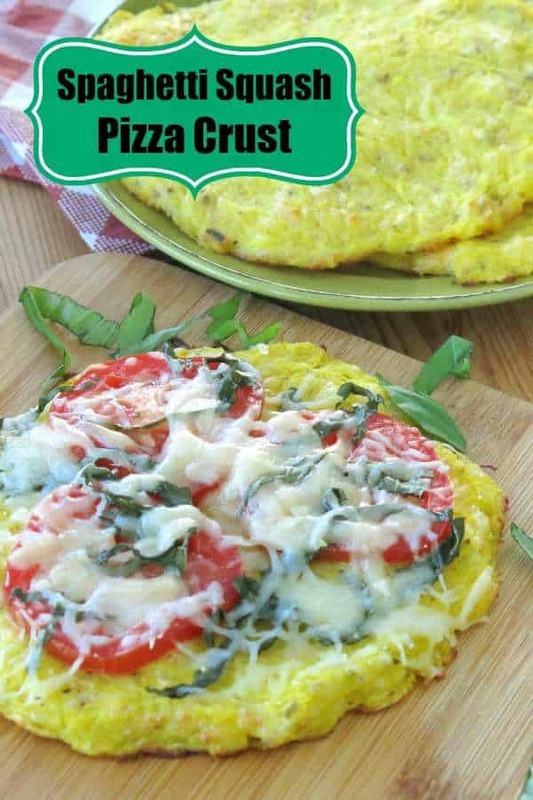 Tag @DinnerMom or #DinnerMom on social media if you make this spaghetti squash pizza bake. We love to see what you’re cooking up! 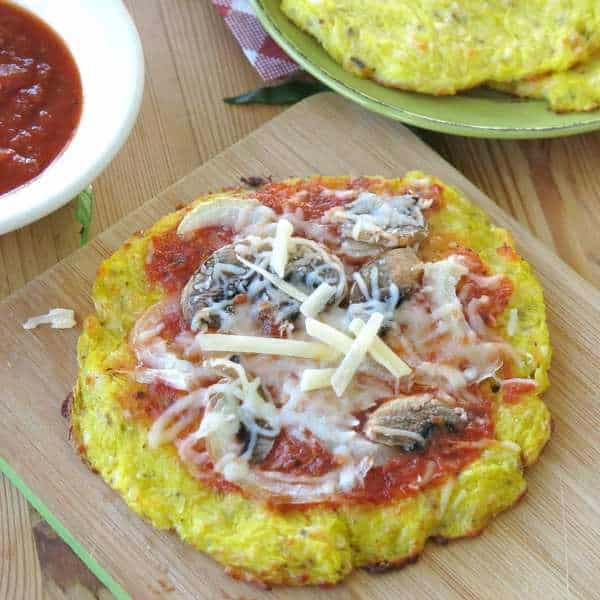 One bite and you'll be hooked on spaghetti squash pizza crust! 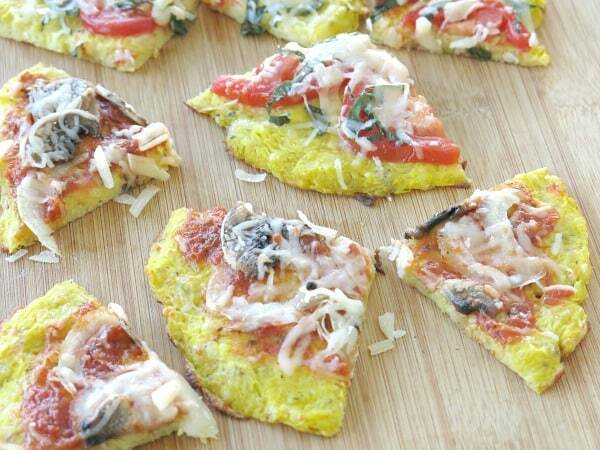 It's low-carb, gluten-free and delicious base for your favorite pizza toppings. Place squash halves, cut side down, on a sheet pan lined with parchment paper. Bake for 40 minutes or until flesh is tender. Remove from oven and allow squash to cool for about 10 minutes. Turn oven temperature up to 400 degrees F.
Using a fork, remove strands from the skin. Place strands in a strainer and then place a clean bowl on top and press down to remove liquid. Remove strands to a clean dish towel and squeeze out remaining liquid. The amount of squash will be significantly less. The more liquid that is removed the crispier and firmer the crust will be. Add egg, mozzarella cheese, oregano and garlic powder to bowl and mix to combine. Place dough on baking sheet lined with parchment paper that has been lightly sprayed with cooking spray. Divide dough into 4 portions and shape into pizza crusts that are about 1/4 inch thick. Bake for about 15 minutes or until crusts are firm and edges start to brown. Remove from oven and top with desired ingredients. Return to oven and cook for about 5-7 minutes more or until cheese has melted. In order to make it easier to cut the spaghetti squash in half, soften in microwave first. Poke each spaghetti squash with a knife on all sides (about 10 times or so) to allow steam to escape while cooking. Place squash on a microwave-safe plate and cook in the microwave for about 4 minutes, flipping halfway through, before cutting in half. Thanks for your comment! I hope the tip for getting excess liquid out helped! My daughter can’t have cheese. 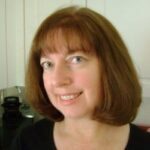 Do you have the cheese in the recipe for flavor or for texture of the crust? Do you think it can be skipped? Thx.